NEW YORK -- Frank Gifford, the Pro Football Hall of Famer who led the New York Giants to the 1956 NFL title and later teamed with Howard Cosell and Don Meredith in the "Monday Night Football" booth, died Sunday. He was 84. 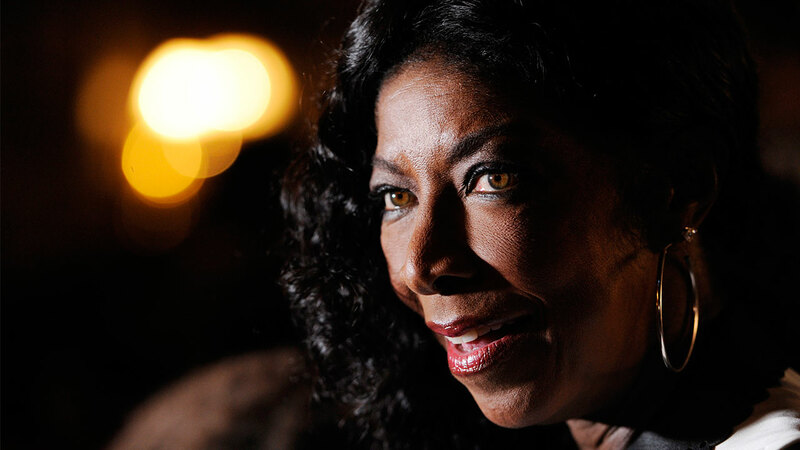 Deeply grateful to all 4 ur outpouring of grace. We r steadfast in our faith & finding comfort in knowing where Frank is. Phillippians 4:13. In a statement released by NBC News, his family said Gifford died suddenly at his Connecticut home of natural causes Sunday morning. His wife, Kathie Lee Gifford, is a host for NBC's "Today." Gifford was the NFL's Most Valuable Player in 1956 when he led the Giants to the championship. He played running back, defensive back, wide receiver and special teams in his career, a versatile star in a time of greater specialization, and went to the Pro Bowl at three positions. Gifford was the centerpiece of a Giants offense that went to five NFL title games in the 1950s and '60s. Beginning in 1971, he worked for ABC's "Monday Night Football," at first as a play-by-play announcer and then as an analyst. Later in life he stayed in the spotlight through his marriage to Kathie Lee Gifford, who famously called him a "human love machine" and "lamb-chop" to her millions of viewers. "He was a great friend to everyone in the league, a special adviser to NFL commissioners, and served NFL fans with enormous distinction for so many decades," Goodell added. "We will always remember Frank's contributions and miss his friendship. Our hearts go out to Kathie Lee and the entire Gifford family." Gifford hosted "Wide World of Sports," covered several Olympics - his call of Franz Klammer's downhill gold medal run in 1976 is considered a broadcasting masterpiece - and announced 588 consecutive NFL games for ABC, not even taking time off after the death of his mother shortly before a broadcast in 1986. In its early years the show was a cultural touchstone, with cities throwing parades for the visiting announcers and celebrities such as John Lennon and Ronald Reagan making appearances. A handsome straight-shooter who came off as earnest and sincere, Gifford was popular with viewers, even if some accused him of being a shill for the NFL. He experienced the highs and lows as an NFL player. Gifford fumbled twice early in the 1958 NFL championship game, both of which led to Baltimore Colts touchdowns, and later came up short on a critical third down. The Colts eventually won 23-17 in the league's first overtime game. The thrilling finish helped popularize the NFL and was dubbed "The Greatest Game Ever Played," although not by Gifford. "Not my greatest game," Gifford told the AP in 2008. "I fumbled going out (of the end zone) and I fumbled going in." 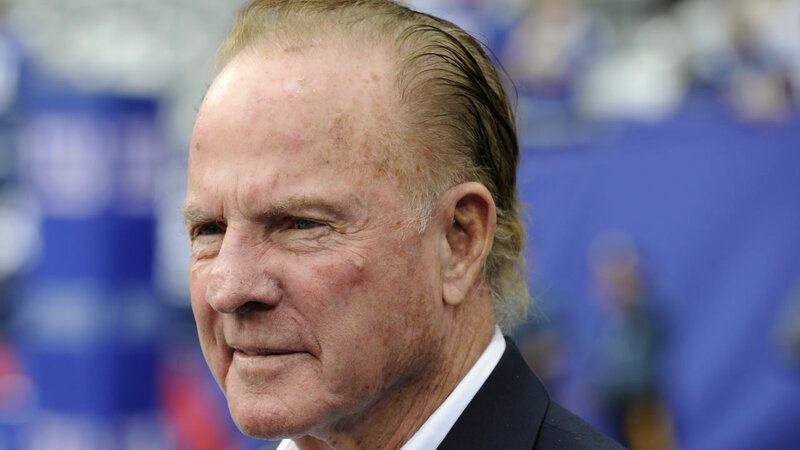 "Frank Gifford was the ultimate Giant," co-owner John Mara said. "He was the face of our franchise for so many years." Born Aug. 16, 1930, in Santa Monica, Calif., Frank Newton Gifford was the son of an itinerant oil worker. Growing up in Depression-era California, Gifford estimated he moved 47 times before entering high school, occasionally sleeping in parks or the family car and eating dog food. Gifford's 5,434 yards receiving were a Giants record for 39 years, until Amani Toomer surpassed him in 2003. His jersey number, 16, was retired by the team in 2000.